Darren went fishing with his dad one morning at Eagle Lake. The fishing was really bad, but we all hoped that Darren would come back with something. 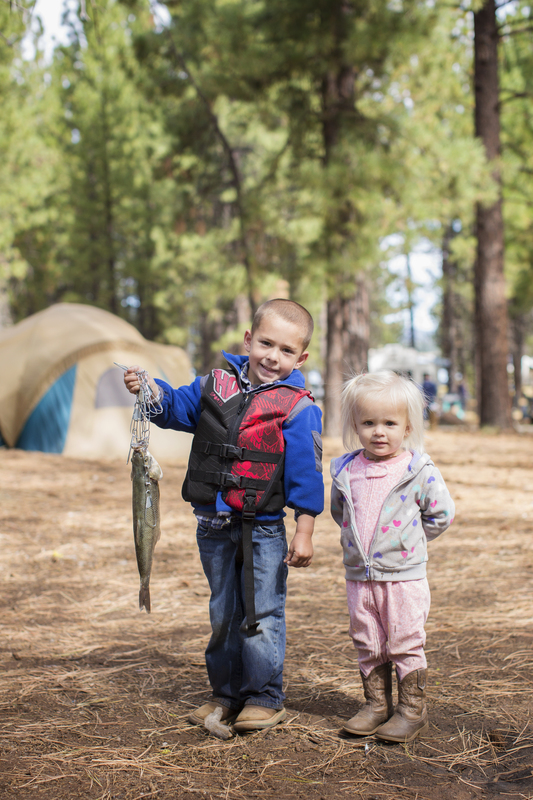 What is better than a little boy catching his first fish? And sure enough, when they came back Darren was proudly showing off the fish he caught. I told him I wanted to take a picture to capture the moment. This sweet little guy asked if his little sister could be in the picture with him. Sometimes a dad’s gotta do what a dad’s gotta do! Whata a couple of cuties! I am very impressed by that little guy. Dad is pretty wonderful too! Adorable picture! Sweet little boy to include his sister.